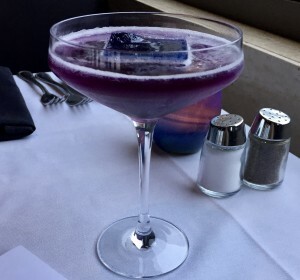 Recently, we had dinner at Eddie V’s in La Jolla to celebrate an event. 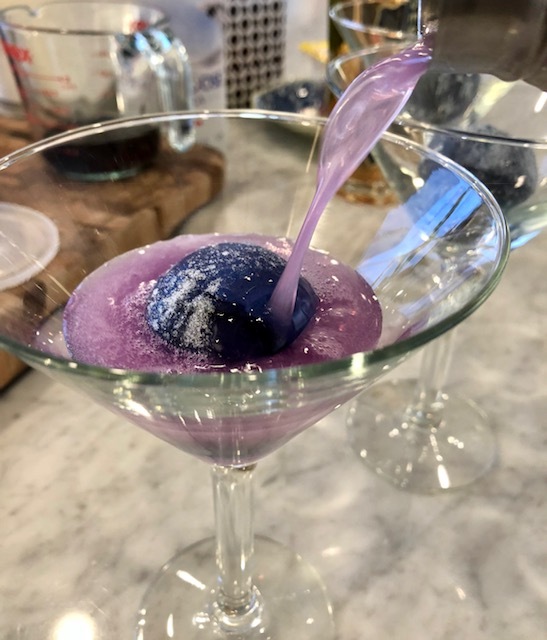 For $16, you can get a “Hope Diamond” Martini with the listed ingredients of: “Grey Goose Vodka, Combier Pamplemousse Rose Liqueur, Lemon, Pea Flower Tea, Diamond Ice Cube“. The drink was really special… a lightly sweet, royal purple colored cocktail… with a sapphire blue ice cube floating in the middle of the glass! But at $16… not something you would order everyday! Figuring out how to make this drink wasn’t too hard… peaflower tea (in teabag or loose-leaf form) was pretty easy to find on Amazon. The Pamplemousse Rose liqueur, however, was a little harder to find… I couldn’t find this locally, and shipping alcohol in CA is highly regulated and hard to do. 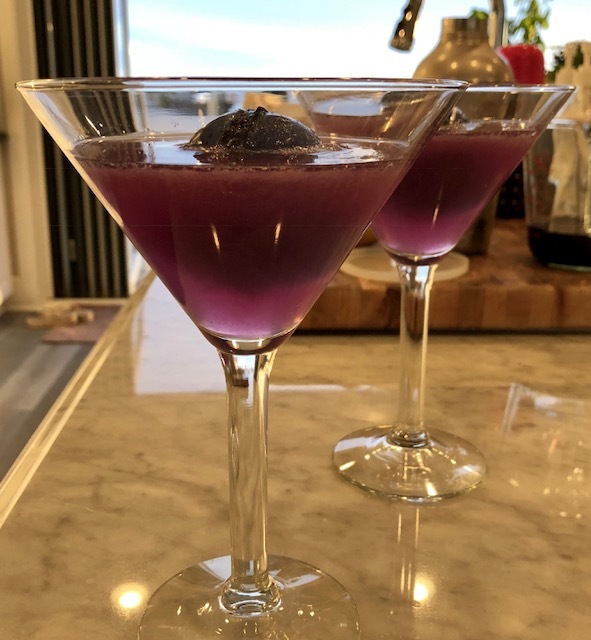 So I substituted with St. Germain – a sweet liqueur made from Elderflower blossoms - which is quite easy to find at any BevMo or at almost any liquor store. 1. 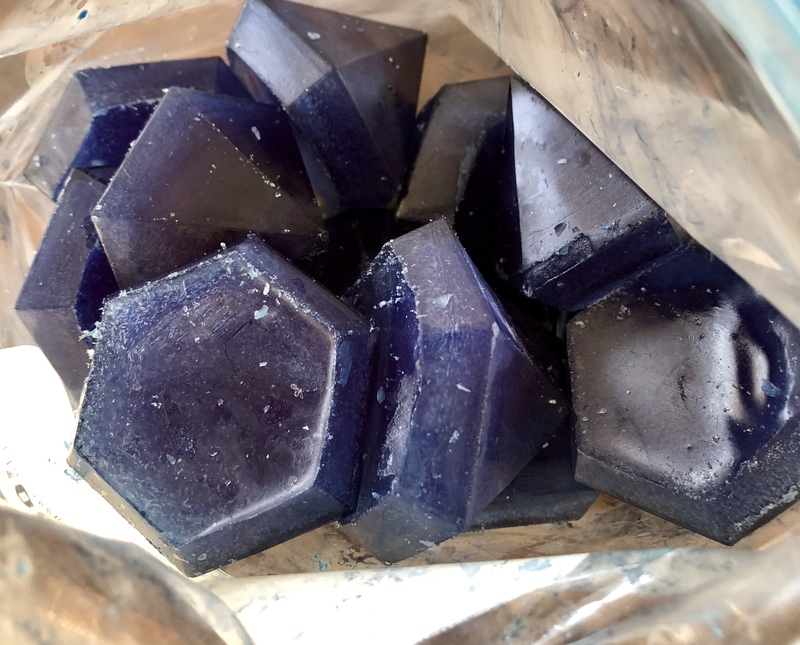 First make the Diamond Ice cubes: Soak the teabags in the 2 c. hot water for about 5-10 minutes until the color has turned a dark opaque blue. (You can experiment with how much peaflower tea to use… with this particular brand, it took me 3 teabags.) Pour 1 c. of the tea into ice cube molds. 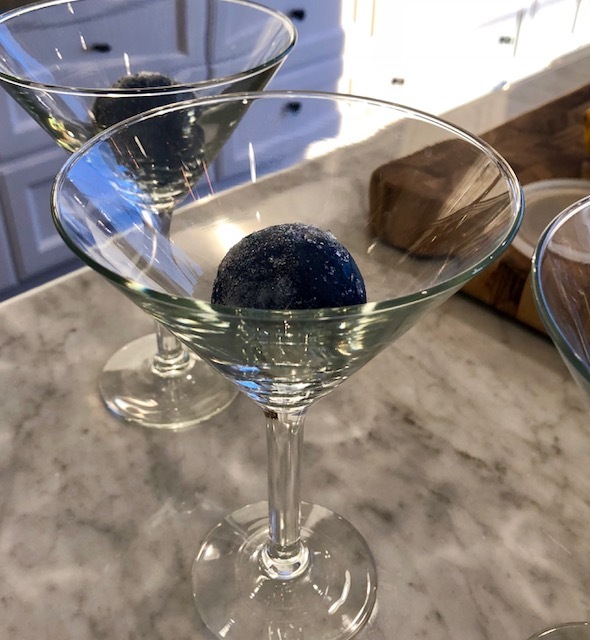 You can use spherical ice cube molds as I did for today’s martinis – or you can get really fancy and creative and use diamond shaped ice molds (pictured below). Extra ice cubes can be kept in an airtight ziplock bag in the freezer for next time. 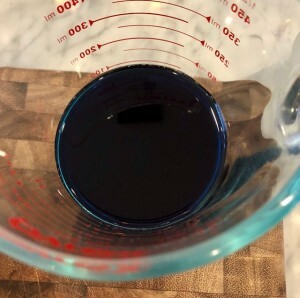 Next make the Pea Flower Syrup: With the remaining 1 c. of warm/hot pea flower tea, add 1 cup of sugar. Stir to dissolve, then cool and set aside. 2. 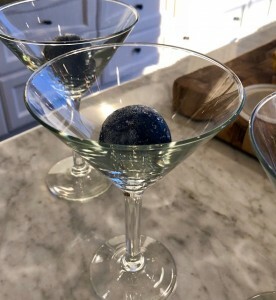 To make a martini, add your “Diamond Ice cube” into a martini glass. 3. Add the vodka, peaflower syrup, lemon juice, and St. Germain to the shaker. 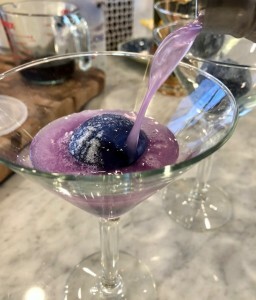 (Lemon juice is acidic and will turn the drink from blue to purple – the more acid is added, the more pinkish the color of the drink will become. If you want a brighter fuchsia color, use more lemon juice. 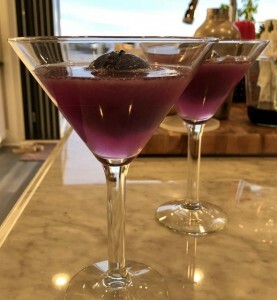 If you want a more royal purple color, use less lemon juice.) 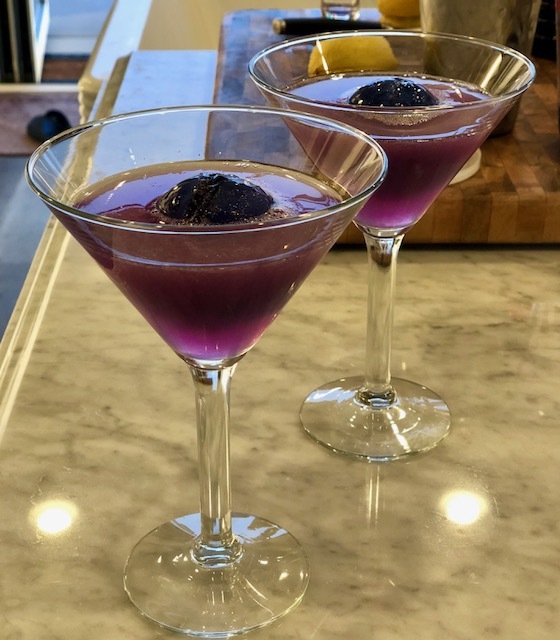 Use less peaflower syrup if you don’t want it to be too sweet – more if you prefer a sweeter cocktail. 4. 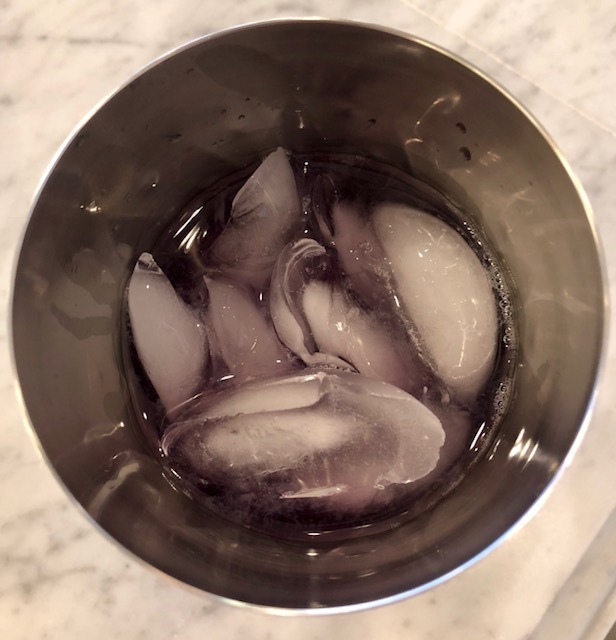 Shake the mixture with ice, then pour over the ice cube in the glass.